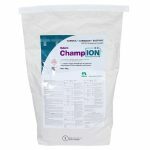 ChampION++ is a superior protective copper fungicide for the control of many diseases of fruit, vegetables and forestry. 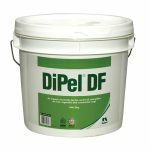 An organic insecticide for the control of caterpillars on fruit, vegetable and ornamental crops. 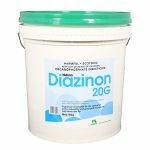 Diazinon 20G is a granular insecticide for the control of porina caterpillar and grass grub in pasture, and carrot rust fly. 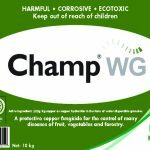 Champ WG is a copper fungicide for the control of many diseases of fruit, vegetables and forestry.